A celebration for all ages. Not only in the stands of the Camp Nou ​​but also on the pitch, as the first team players were accompanied by their children. All had a great time singing, taking photographs with the cups and watching the fireworks. 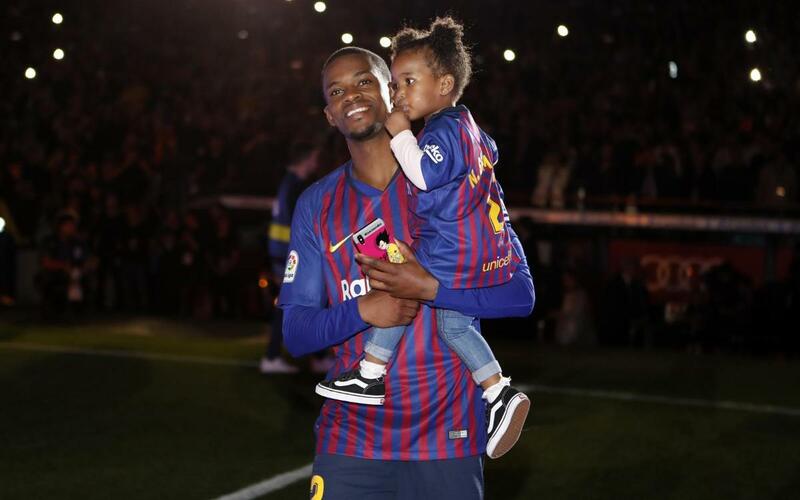 Thiago Messi and Milan Piqué are used to such events, but it was a new experience for Martina (Alcácer), Piero (Jordi Alba), María (Coutinho) and Luana (Semedo). On what was a very special and emotional day, they also enjoyed the tribute to Iniesta along with his children Valeria, Paolo Andrea and Siena.